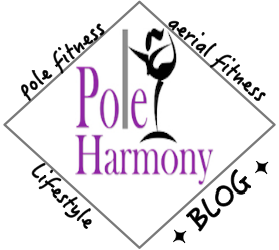 Since selling my aerial dance fitness studio in October 2015, I haven't taught any aerial dance or fitness classes. I was ready to move on to the next chapter in my life and put teaching on the back burner. Unfortunately, life would not happen the way I'd planned and after two years of being on a teaching hiatus, it was time to test the waters and revisit my old passion of teaching once more. After some encouragement from my former aerial instructor who has been teaching aerial classes at another gym, I decided to join her at that very gym and embark on a new journey of being a beginner level aerial instructor. It was apparent that I was rusty on the more advanced material so I felt comfortable teaching and re-familiarizing myself with the beginner level curriculum. Getting back to it was a process. I was given a curriculum that I would be teaching so I had a basic structure to my classes. I shadowed a couple of the instructors at the gym where I participated as a student and/or assisted in a co-instructor role for a few classes. I felt comfortable after a couple weeks to move on to leading my own class. Class prep included some extensive research to familiarize myself with the concepts and key elements important to the movement I was to teach. Even though I was teaching a beginner level curriculum, there would be students of varying levels within the umbrella term of "beginner" that could easily progress with a little more advanced movement or need to dial things back for a simplified version of particular skills. This can be quite challenging for many instructors especially if you have larger class sizes. The day before my first class, I did some prepping in an open gym session where I practiced the skills for the following day. My plan for my class would start with an introduction where I would let everyone know the skills we'd be working on for the day. We would proceed with introductions of the students where they would go around in a circle and introduce themselves to the group and state how long they've been taking classes and what their goals were for the day regarding the lesson plan. After our introductions, I would lead a warm-up followed by class instruction. Once we completed our instructional portion of class, I planned for a little free time for students to work on any of the skills taught, take pictures, or to ask questions one on one. The last 8 minutes of class would include some additional instructed conditioning followed by a cool down. I've officially taught my first aerial silks class since sometime in 2015. The class went pretty well. I was able to stick to the planned curriculum for the most part. There were a few advancements that I touched base on due to students having been previously introduced to the skills I was teaching. It was a good learning experience for me to revisit concepts I hadn't worked on in awhile and work through the steps with my students as I re-acquainted myself with those particular skills. I found the one hour class time to be a little bit of a challenge in order to keep on track and fit everything I wanted to work on for that class. I'm looking forward to playing around with some more concepts in regards to my teaching experience in order to assure my students are getting the most from their lessons. Can't wait for next week. This week was a smaller class size which I mostly attributed due to inclement weather and a couple students that previously informed me of their planned absence. For the students that did show up, we covered quite a bit of material. After the teaching the required curriculum, I decided to introduce a mini routine at the end of class as part of a bonus conditioning. The students really enjoyed the mini routine as it enabled them to put together movements and work on performance details. I realized that in many of the classes most of the material is skills focused which can leave little time to fine tune and work on artistic expression which is a necessary synchronous skill for performances. Each week, I will try to include a mini routine that will have all the skills taught during the first portion of the class. Stay tuned for future updates on my journey back to teaching.